Get ready for an evening with 35 of the area’s most talented chefs teaming up together to cook for a cause. 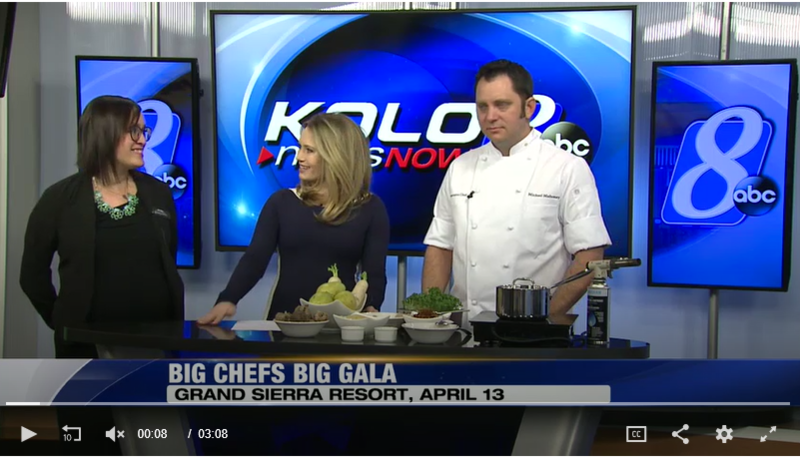 This one-of-a-kind foodie event, Big Chefs Big Gala April 13, 2019, raises money for Big Brothers Big Sisters of Northern Nevada (BBBSNN). The evening starts with a black-tie reception with small bites from several of our area’s finest restaurants and culminates in a unique four-course culinary experience featuring Bentley Ranch Meats and Sierra Gold Seafood. Culinary teams led by Chef Captains Jacob Burton (Renaissance Reno Downtown Hotel), Thierry Bregeon (Grand Sierra Resort), Ivano Centemeri (The Row), and Colin Smith (Roundabout Catering & Party Rentals) will be creating menus for the gala from pre-selected primary ingredients. The friendly competition is fierce as each team brings its most inventive skills to the table. The evening begins at 5:00 p.m. at the Grand Sierra Resort with a hosted cocktail reception, offering mobile bidding on more than 200 silent auction items and appetizers created by local restaurants and catering companies. The evening continues at 6:30 p.m. with the four-course dinner, live auction, and an auction of desserts created by local pastry chefs and caterers. Big Chefs Big Gala is presented by the Grand Sierra Resort and Casino, Renown Health, ABC Fire Extinguisher Co. and Dr. Christopher and Linda Demers of Sierra Neurosurgery Group.